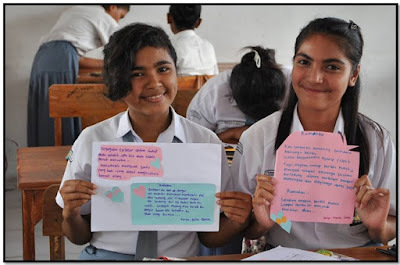 Two young journalist of SMAN 2 Kupang Timur show their writing to the camera. 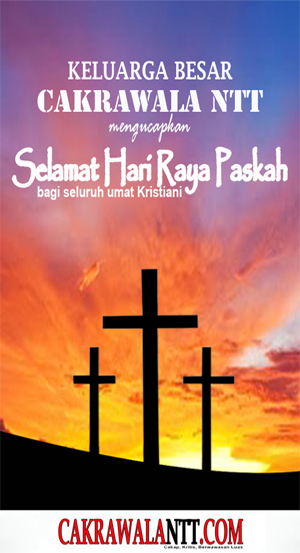 It will be published in the wall magazine of SMAN 2 Kupang Timur after the training given by Cakrawala NTT. 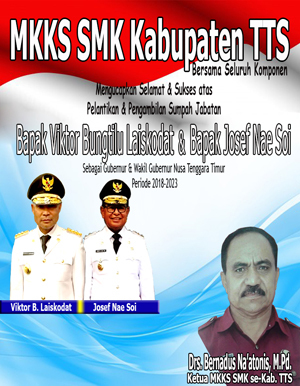 The head master of SMAN 2 Kupang Timur and his students work together in publishing the students’ writing. After the training given by Cakrawala NTT, wall magazine can be used as a good media for students to improve their writing skill.